Brand Spotlight: PACKage – Oh My Stellar! 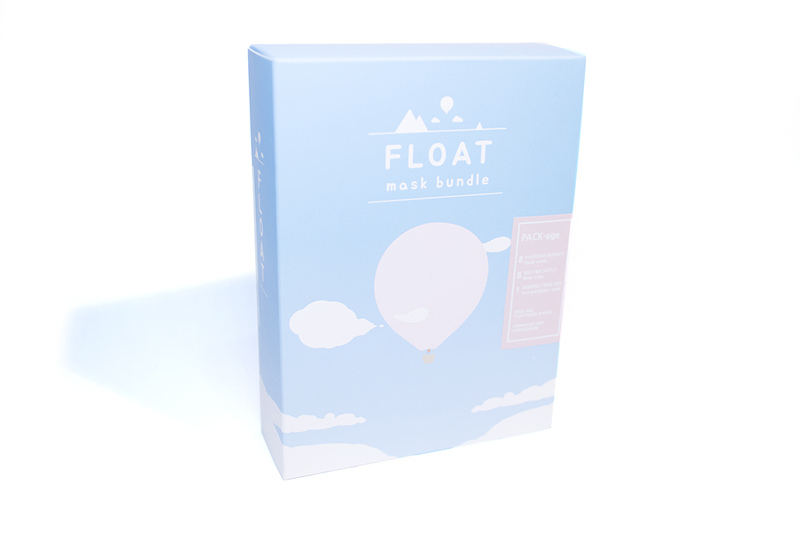 PACKage is a fairly new brand where it comes to Korean sheet masks (and masks in general), but they’re definitely getting some attention online – most famously for their ‘mask bundle’ which I will be reviewing for you today! When BB Cosmetic sent me some products to test out, they were also super generous and sent me some extras of the masks and I’m now trying to decide if I’ll be sharing them out to my family or saving them for a give away – or hoarding them because they’re super cute! Of course, let’s start off by talking about this bundle that’s available for purchase! 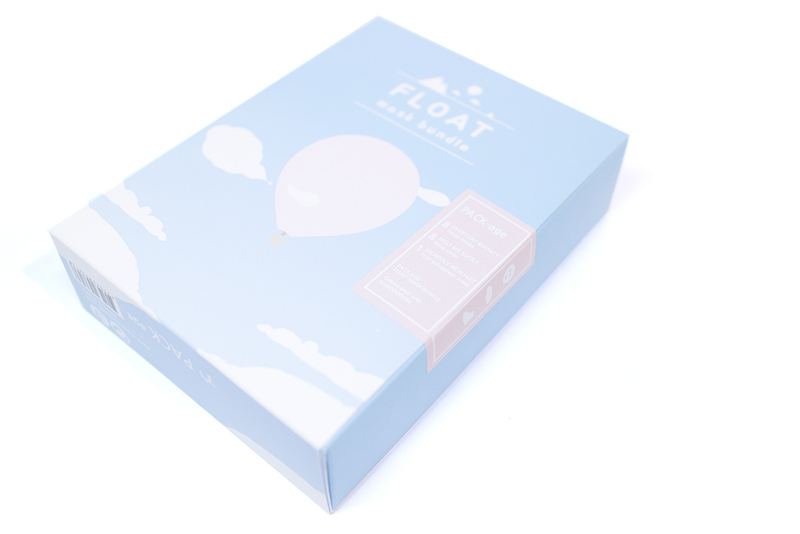 The packaging of this is so cute and I absolutely love the simple illustrations and colour palette. I think that it looks really classy and elegant, whilst still being quite playful and ‘child’ like. The packaging also feels like it’s good quality too and, as a present, it would be really good. Personally, I’m also going to be keeping this box afterwards to store other sheet masks because it’s so handy – especially if I’m travelling. 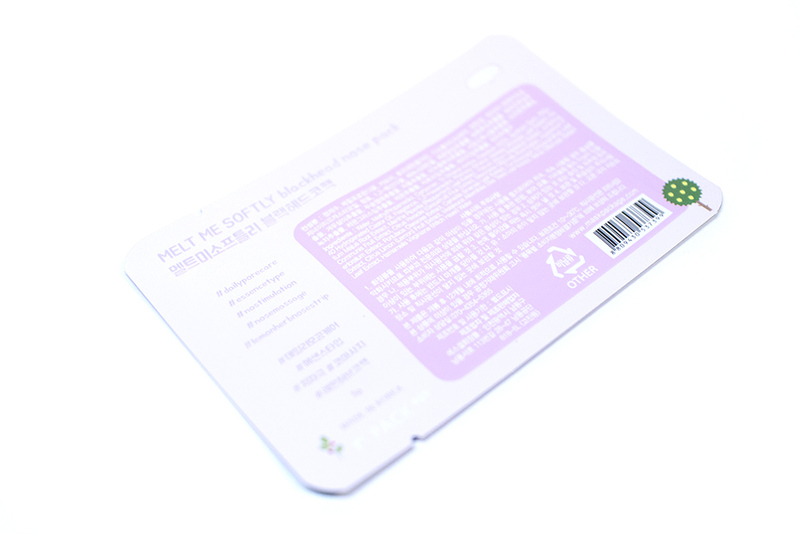 The box is sealed well, so you know that your products would be safe, and the box is made of a good quality matte finish board. 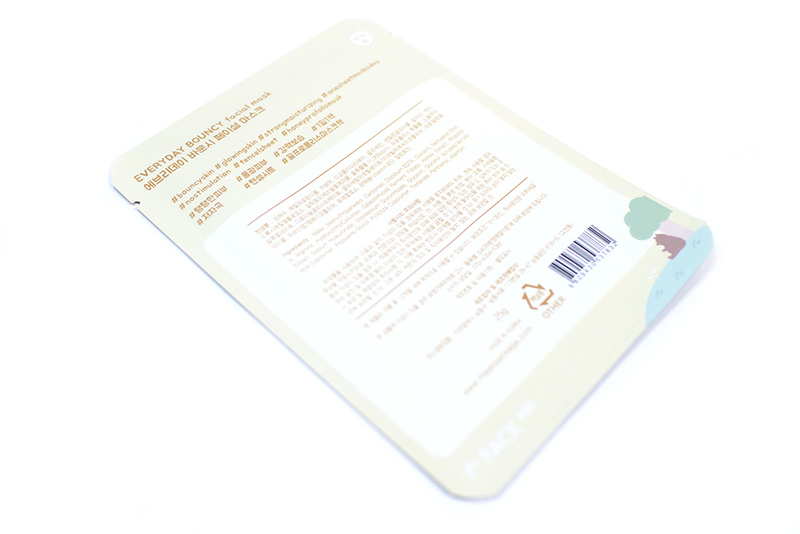 It’s light and doesn’t have much added weight outside of the sheet masks, which is good if you’re planning on using it as storage afterwards. I also like that it sort of resembles a box set of DVDs! This box set sells on BB Cosmetic for USD$16.50, which is discounted from the full price of USD$20.90, and contains 8 sheet masks, 8 pore strips and 1 foot mask. Overall, it’s good value for what it is and I recommend purchasing this if you’re keen to try out the entire range and see how it works for you, before buying your favourites individually. I do wish that they included one or two more of the foot masks but, considering that they’re recommended as a monthly treatment, it isn’t so bad. 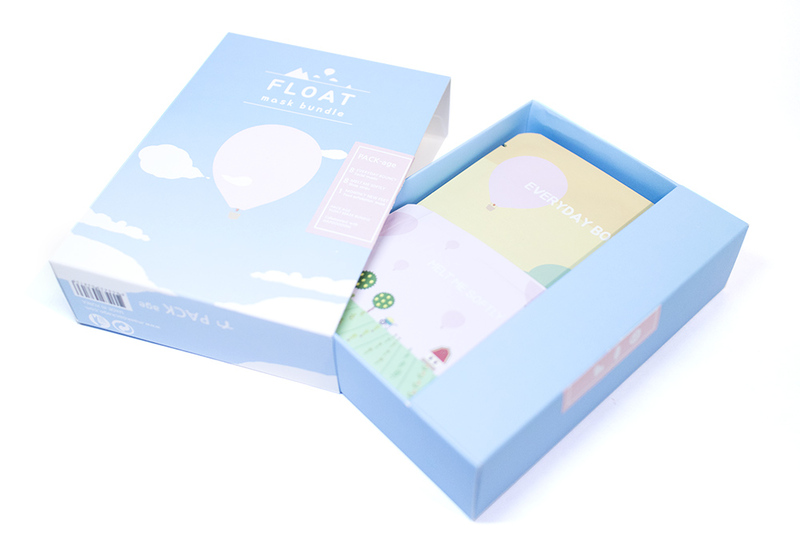 Once box could last you around a month or a week, depending on how frequently you mask! And above is everything that came in the box! 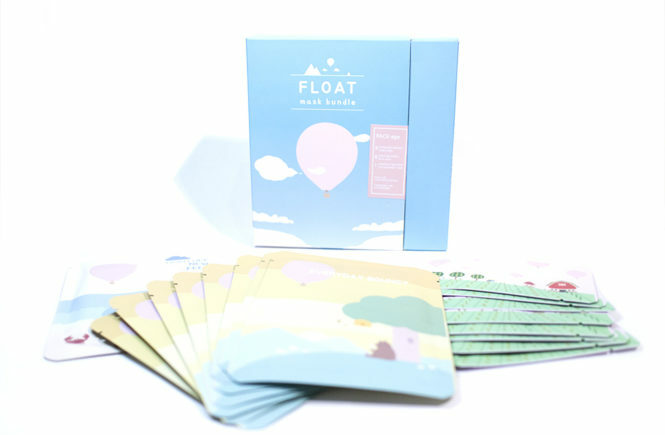 I love how the hot air balloon image is carried out through the entire set and that the illustrations all have that same feel! 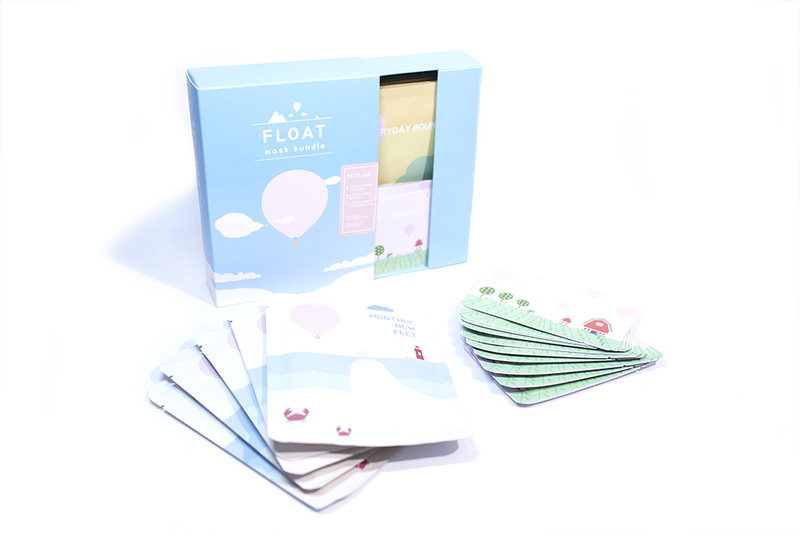 This is a collaboration between PACKage and Hapooooom; a Korean illustrator and photographer/artist who has created an entire collection of these super cute and fun illustrations in her collection called Balloon Trip. I love it when beauty brands work together with artists and designers on their products since, as a designer myself, I see so much value in the aesthetic design of these products, so I’m really happy that PACKage decided to do this and I hope that they continue to work together in the future. Or maybe the brand will choose to continue working with artists on different sets with different illustrative styles. So yes! Check out BB Cosmetic to get your hands on this bundle for all your gift giving (or self gifting) purposes – and use my code for 8% off of your purchase (QAL3F6ZA8YZ). However, before you do that, keep reading for my personal thoughts and experiences with all three of these masks. The sheet mask is the first that I’ll be writing about here but it is actually the last product that I tried, since I’ve been so frenzied that I haven’t taken the time to lie back and relax myself. However, once I tried out this mask, I’m pretty excited to use it again! This is a hydrating mask – and it specifically states that it focuses only on hydration, so it will not over treat your skin with daily use – and it has Honey extract, Propolis extract, Galactomyces, Hyaluronic acid… also something about a hydration bomb that I’m a bit unsure about. It is marketed as a daily mask, so it is meant to be used very often and it is not a special occasion mask. That taken into consideration, I think that it’s quite expensive at USD$3.50 a mask (if I were to use it every night) but it is more affordable purchased in packs of 7 or in the bundle. I would recommend getting the 7 pack first to test it out for a full week! The fit of the mask is, admittedly, not very good. The size is okay but the slit of the nose is cut really high and makes the eye area a bit awkward to use. In addition, the essence does have a strong scent that I can’t quite place. However, once I put the mask on, I noticed that I couldn’t smell it anymore. It didn’t bother me but might for someone who is more sensitive. The mask is absolutely soaked and super saturated – I could even save the extra essence and use it on my face the next night. After the mask dried and I took it off, I noticed that my skin was really refreshed and hydrated. In fact, even my complexion looked brighter and more lively than it had in days! I have been home a bit sick this week so my skin is under the weather. This effect lasted even to the next day and my skin was feeling better than it had in the past week or two. So let’s chat about this blackhead nose strip. 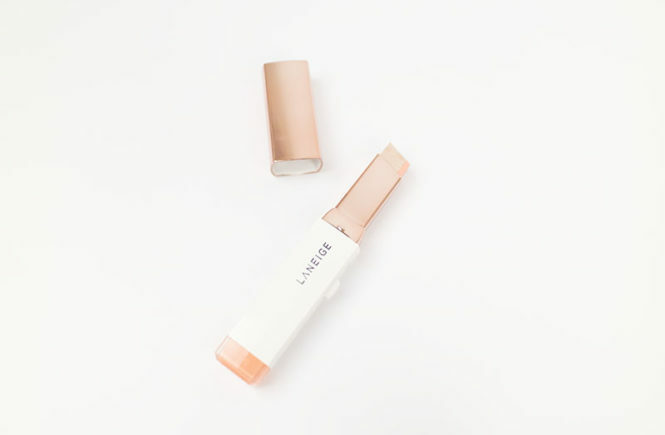 At first, I thought that it would be a peel of strip and I was very hesitant about the suggestion of it as a ‘nightly’ treatment, but then I read that it was an essence type – and things make more sense. 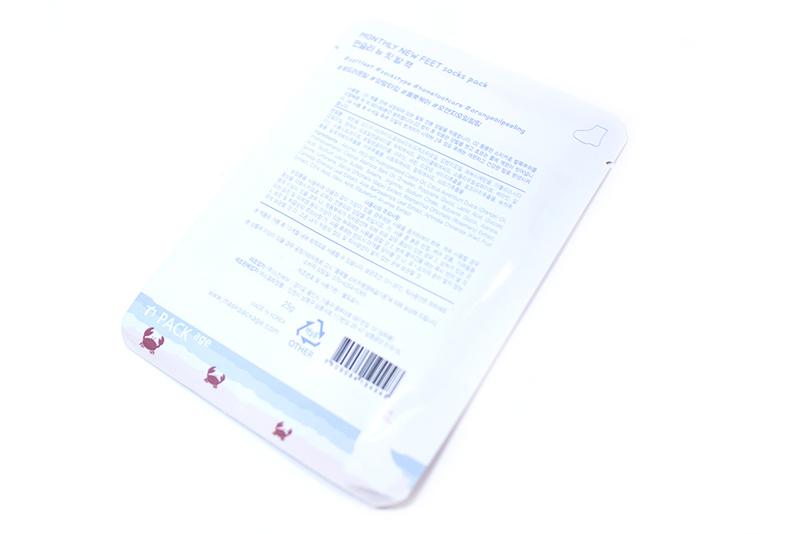 This mask contains lemon and herb extracts and claims to melt blackheads, allowing you to wipe off excess sebum. When you tear it open, the mask is made of a cotton material – just like a regular sheet mask – and it’s very easy to adhere onto your nose. The fit of it is also pretty good and it sat well on my skin; it didn’t slip off or fall. That being said, it does have a bit of a scent and it stung my eyes a little for a moment but that luckily disappeared soon. There’s also a lot of essence left in the packet and I’m tempted to decant and use it as a pore treatment. I left it on for 20 minutes before gently massaging it in and then wiping it off. My skin felt softer after use and my pores did seem to be clearer – but not completely. I think that regular use of this would be needed for more stubborn blackheads and, while it may work, it’s a bit tedious to do every night. This one is a monthly foot peeling mask and is a lot of fun if you’re not squirmish about your feet shedding like snakes (I’m not and I love the experience). These are intended to be used monthly and has orange oil extracts to help dead skin cells on your feet peel off. It’s not an immediate process and I would recommend using this maybe two weeks before you intend on wearing sandals. There’s also no pain at all! The packaging design of this mask is pretty good! This isn’t the first foot mask that I’ve used, but it is the first time that I’ve seen the two ‘booties’ to be connected like so. In order to use them, I first considered tearing the package, but the plastic is a bit stretchy so it’s a lot easier to cut. I cut the boots in half and then tore open the sealed end to put my foot in. Overall, the process was really easy and mess free – I didn’t get any of the liquid anywhere and I didn’t have to wash my hands after either (but it would be good to). You also get two sticky tabs to ‘seal’ the booties to your foot size. I have US 7.5 feet and the boots are pretty massive on me, so I think that they would fit on all sizes. The stickers really don’t seal very well though and, unless you are staying really still, I would recommend putting on socks over the mask as an extra layer of protection. Try to minimize walking after you have them on as they’re a bit slippery and you could fall. I left the mask on for around an hour and fifteen or twenty minutes. It is recommended to keep on for an hour and I would suggest to keep to that, because my toes were starting to burn a little bit. Afterwards, I just rinsed off my feet and patted dry. No heavy scent, no side effects and no mess at all! Right after using them, my feet feel baby soft! It’s actually really distinctly different to my usual skin as, when I touch my ankles, I can feel the difference from where I wore the mask and where it ended. Unlike the pervious foot masks that I’ve used, I think that this leaves less of an acidic scent and my feet feel immediately softer too. I’m excited for when it starts peeling! Some people hate that but I love it. This mask works fast and I can already see that the dead skin around the edges of my nails and the back of my foot is starting to crack. I imagine that I’ll be snake shedding in another day or two and I am so excited about that! … Yes, this blogger is strange. It’s here. I am peeling like crazy all over my foot now and it’s gotten more intense as the day went by. I know that you’re not meant to peel it (and I recommend not doing that just because it’s the proper thing to do) but, as usual, I can’t help myself and I’ve been sitting around and peeling off this dead skin. The layer underneath is soft and new, so I’m excited for when this will be all done. I’m predicting that I’ll stop shedding in another two or three days? This product works a lot faster than the Tonymoly one that I used before. It’s still peeling but the majority of it is done. It is now peeling up the edges of my feet and the heel, so I think that it’ll be fine in the next two days. Overall, it’s been a really fun experience for me actually (haha) and my feet really do feel renewed and softened. For someone with a lot of calluses or very tough dead skin though, it may take a few uses to really renew your feet. In between treatments, remember to keep your poor soles hydrated! They support you all day! And those are my thoughts on all three products that are included in the bundle, as well as them individually! My thoughts is that the bundle is great for someone who wants to try them all or if you’re gifting. The box is super cute, I love the packaging and the value for the bundle is good too. 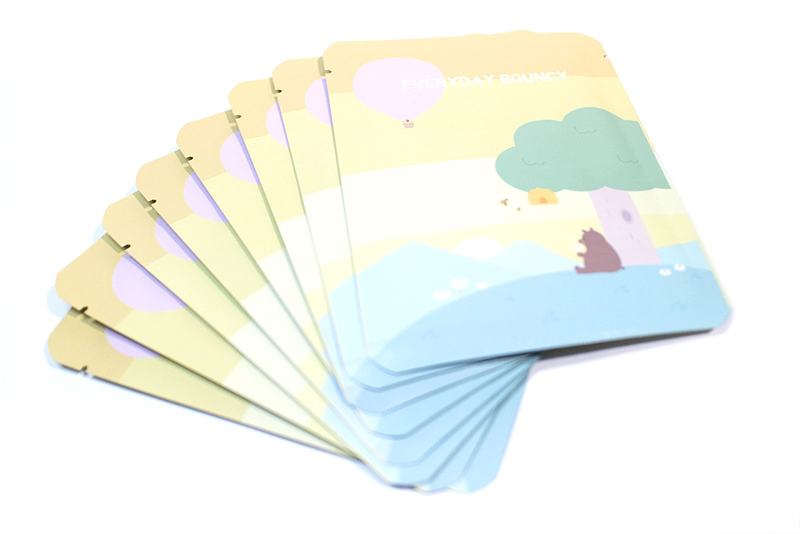 You can also get the bundle in a set of two too. 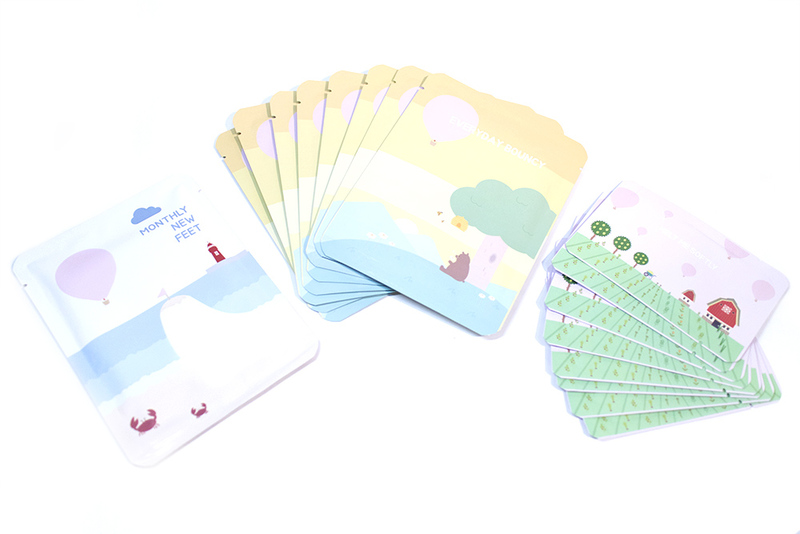 Individually though, I’m a big fan of the sheet masks and the foot masks! 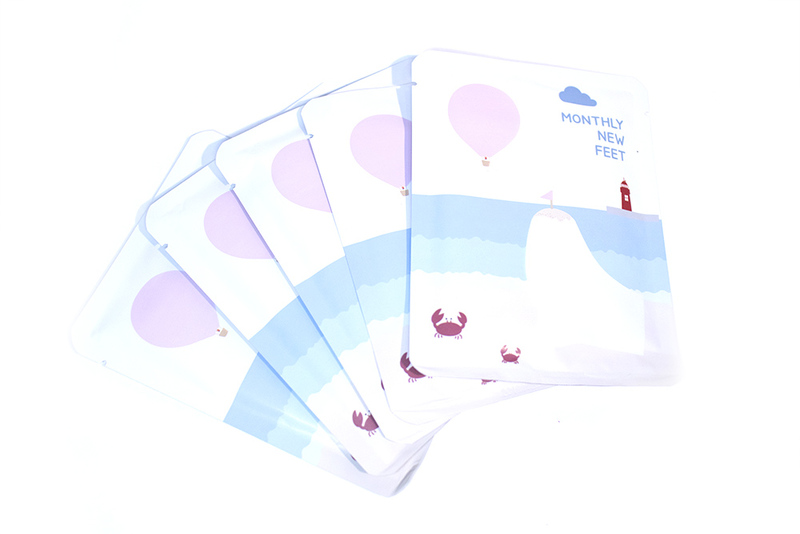 I’m looking forward to continuing to use them and I would recommend the sheet masks as a daily treatment (or every second day) and the foot mask once a month or two – depending on your needs. 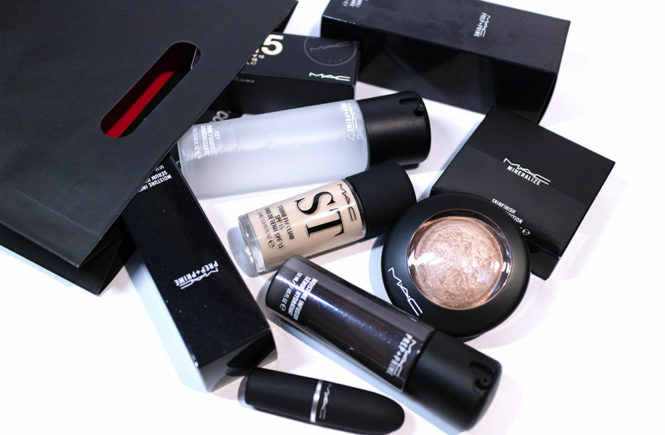 So, if you’re keen on any of these products, pop over to BB Cosmetic to check it out! 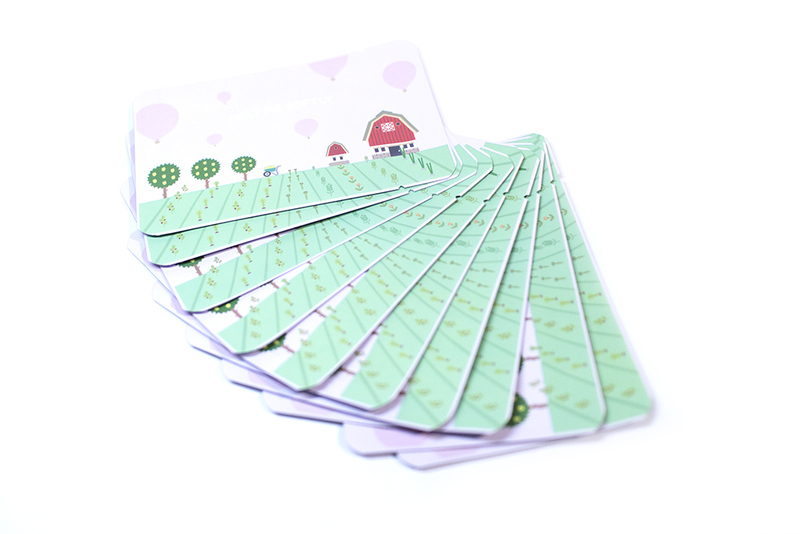 You can also use my code for 8% off your order (QAL3F6ZA8YZ) and enjoy their free shipping (with no purchase limit).